One last long weekend of heavy work. 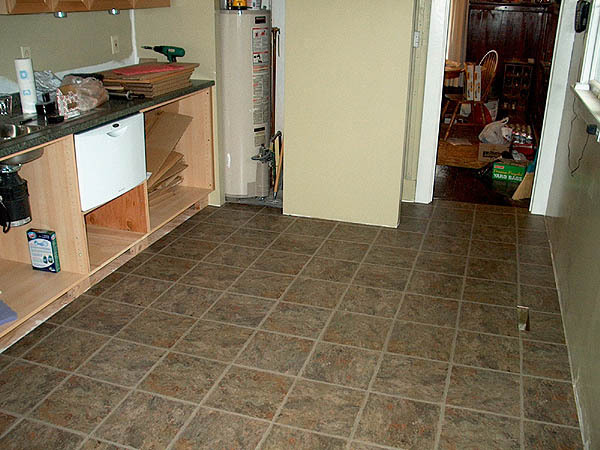 On Saturday I finished laying the vinyl tiles (we had started during the week) and began work on the pantry. 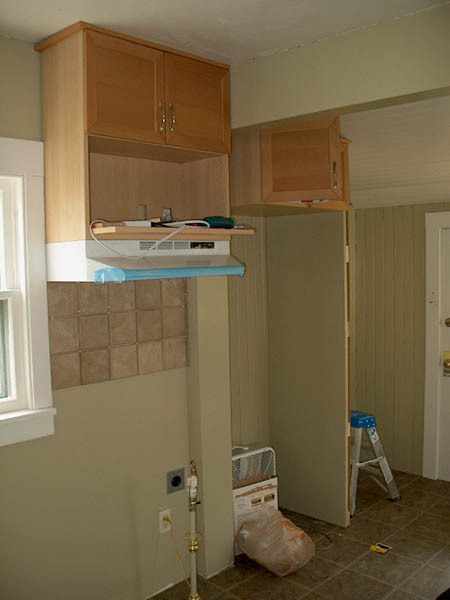 Francie worked on installing the rest of the cabinet doors, drawers and shelves. 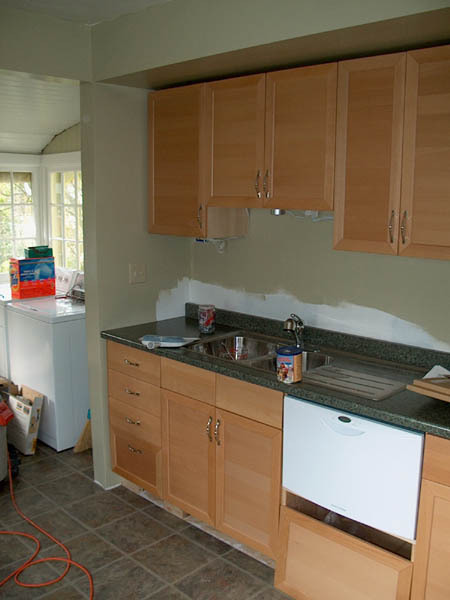 We ran into an annoying snag: a couple pieces of the base cabinets were supposed to be installed before the countertop (centerpiece for drawers in the 36" base cabinet and the holder for the false drawer-fronts in the sink cabinet). We also discovered that we were shorted one drawer kit in our initial cabinet order, so Sunday morning started with an Ikea run. Francie left Sunday to visit an old friend who was in town from out of the country. 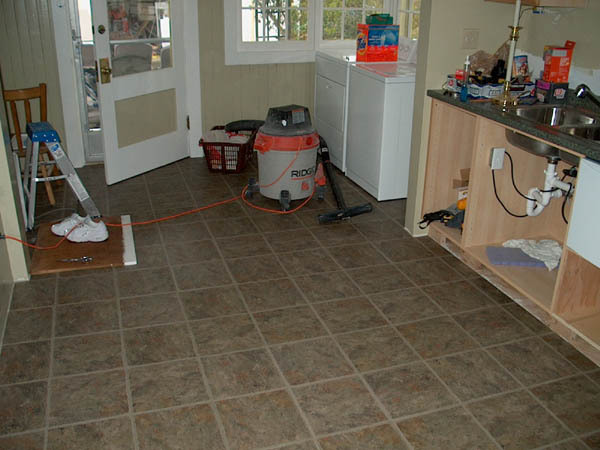 After returning from Ikea, I finished the work on the pantry (building the enclosure and hanging the shelves), grouted the tile behind the stove, installed the toe-kick and hung the door on the small cabinet beneath the dishwasher. 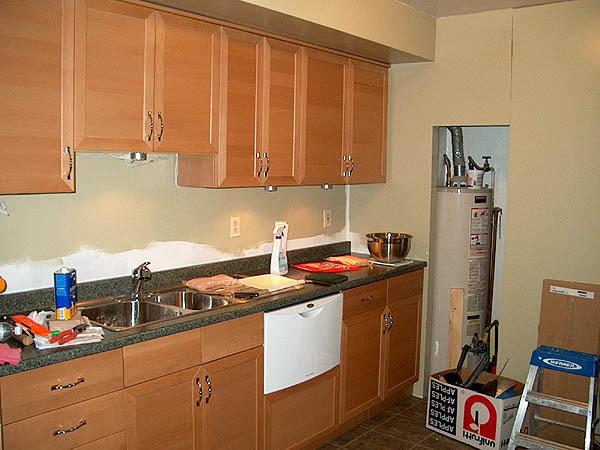 On Tuesday evening, the upper trim was added to the wall cabinets and we finally brought in our new stove! Have I mentioned the new stove before? 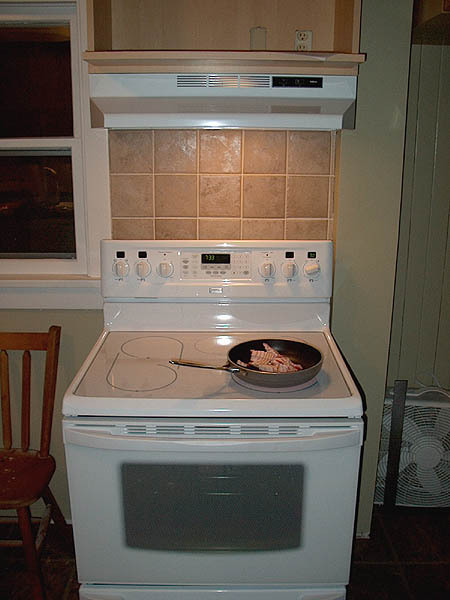 We decided that our new kitchen needed a new stove. We found this GREAT deal on a top-of-the-line Kenmore Elite smooth-top range (half price). We cooked our first meal and it tasted great--eggs and bacon! When the kitchen is REALLY done, we'll christen it with a real meal. Where'd that cool green floor go? A big improvement over the plywood, too! 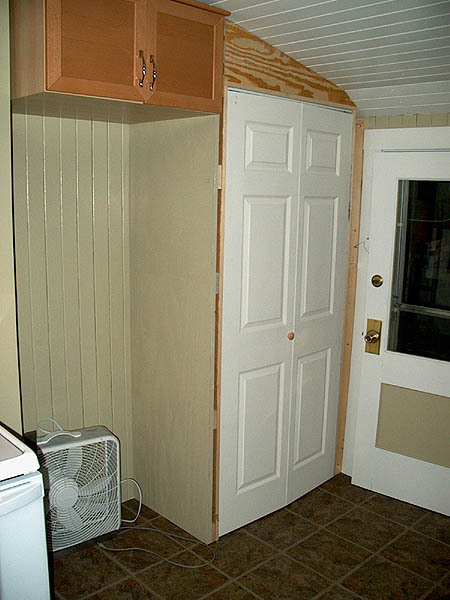 Cabinet doors and even handles! Behind those doors lie 6 shelves ready for food storage! Oh, yeah...some trim and paint are still lacking. Amid the construction debris you'll find some fixins for our first home-cooked meal in the kitchen. What's that on the new stove? It's BACON!